China once again outclassed the rest of the world, at least in terms of plug-in car sales in 2016. EV Sales Blog reports that 2016 ended with nearly 351,900 sales, including a whopping 44,874 in December (up 27% year-over-year)! 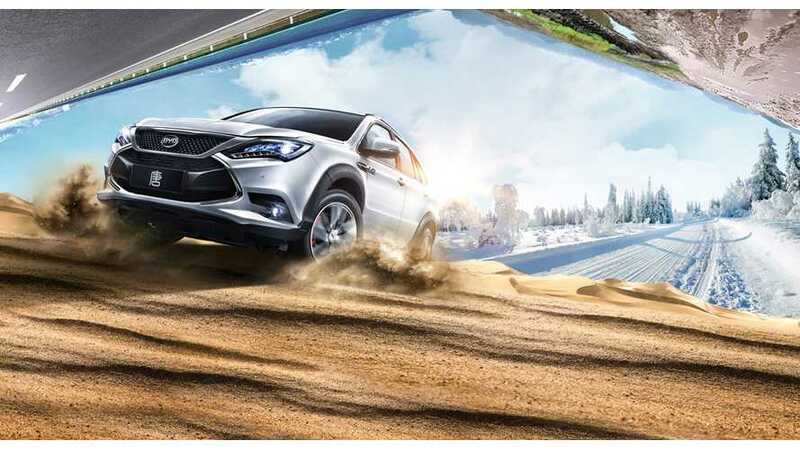 That's around 46% of the total EV sales made around the world, and if growth continues (relative to its peers), in 2017 more than 50% of all sales will originate in China. 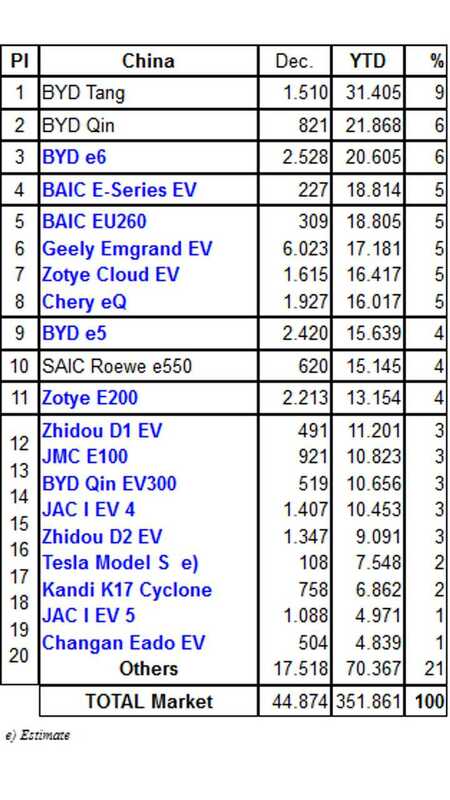 As you can see on the chart, BYD took not only 28% of the Chinese plug-in car market, but also put three models on the medal podium - a significant achievement taking into consideration there are some 70 models for sale in the region. The best selling model for December, and new monthly record holder, is the Geely Emgrand EV - an all-electric model with a 45 kWh battery, and over 250 km range, with 6,023 registrations in December! Geely is also the parent of Volvo. Also of interest, Tesla kicked off volume Model X sales in China, and logged just over 1,000 registrations.